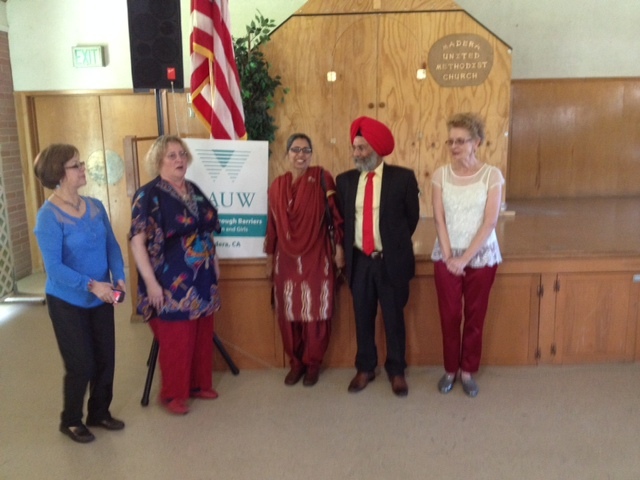 On Friday and Saturday, I celebrated International Women’s Day locally in Madera California with the American Association of University Women (AAUW), where I was kindly invited to introduce my poem, “Dhean,” or “Daughters.” Both events were organized by the American Association of University Women (AAUW), which has been empowering women since 1881! It was a matter of great privilege for me to have been invited for both these occasions. 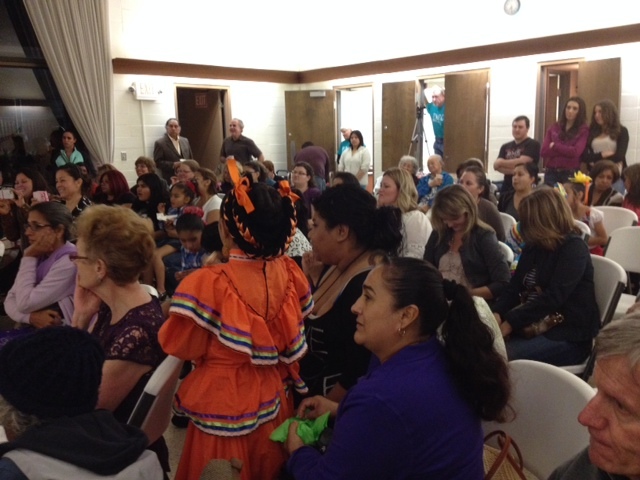 The Galloway Hall at the Madera Public library and the conference room at the Methodist church were filled by women and children of all ages. There were 17 other speakers, along with some wonderful children’s dance groups. There are many areas that need improvement, but there is also much to celebrate of the progress made in women’s rights. But it was not always like this. Women’s rights groups have been pivotal in the strides made, and should be commended for this. When I first wrote my poem, I imagined a very small number of people would be interested in it, not just because it was written in Punjabi, but because the subject matter is one that is not often addressed: daughters. My son, Navdeep, convinced me to write an English translation, and soon after that we created a moving image slideshow set to my voice, which we uploaded to youtube. It was wonderful to be able to share this particular poem with the AAUW. I wrote this poem as a father, brother, husband and as a grandfather. Although I completed the poem recently when the news of feticide and dowry related violence started to get worse in India, I had been thinking about it for some time. I had first listened to the famous singer Noor Jahan’s rendition of a Punjabi song a while ago. Starting with the lyrics, “Eh Puttar Hattan te Nahi Wikde, Aven na Takkran Mar Kure” roughly translated in English, meaning: “our sons cannot be bought in the market place, they are a gift from god.” How so very much I loved the tune and the very melodious voice of Noor Jehan, the lopsided message of what was left unsung in this song always irked me. If sons cannot be bought at the marketplace, what is being implied about daughters? Are they not a gift from god? Are they expendable or replaceable? Praising only sons, I thought the lyrics of this song knowingly or unwittingly further reinforce the age old stereotype. Through this poem, I wanted to tell that, daughters are an equally a precious blessing. I wanted to draw attention to the frightening statistics of feticide as well as to the curse of dowry in India. 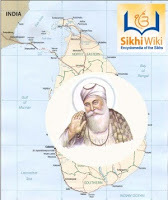 I also wanted to make this poem stand out as a tribute to ‘daughters of the world’ and make it accessible to those who do not speak Punjabi by adding English sub-titles. But more importantly, I wanted to slowly make people think and change the age old mindset. If you like this poem, please share this post with others, and I would love to hear your thoughts in the comments below, or on my Facebook fan page.